This house, on St. Louis Avenue at Hamilton, is in that interesting moment when the Art-Deco style transitioned into Modernism. 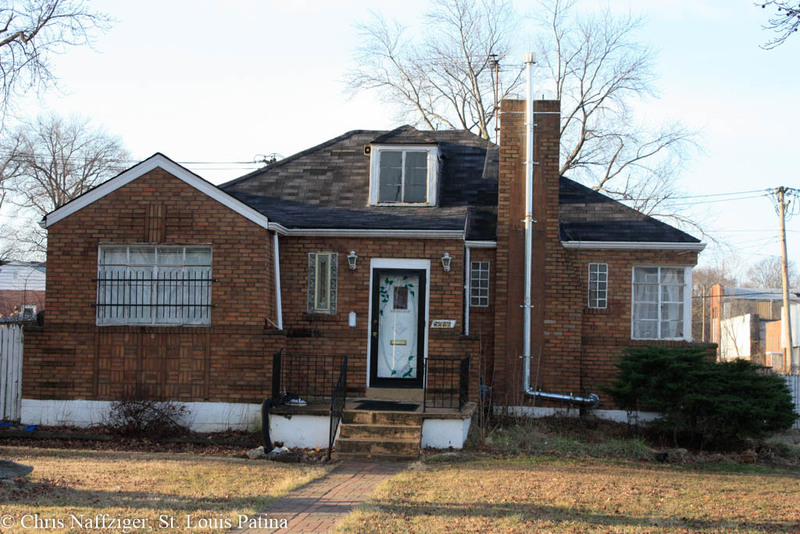 I still don’t feel satisfied with that definition of this house’s style; it was built in 1939, right when a more international style of architecture was arriving in the city. It is Art Deco. There is nothing International Style about it. The massing, fenestration, and decorative elements are all classic residential Art Deco. I was thinking Modernist a little bit because of the corner window with a cantilevered lintel. But you’re right; it’s definitely an Art-Deco house for the majority of the massing, etc.